Savvy Spending: Pampers: 10 free Gifts to Grow Rewards points! Pampers: 10 free Gifts to Grow Rewards points! 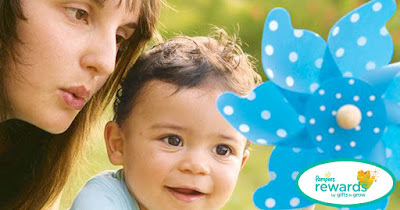 Pampers Gifts to Grow members can click THIS LINK and sign into your account for 100 Free Pampers Gifts to Grow Points. New members start off with 100 free points when they join HERE!! You don't have to have a child in diapers to participate either! Pampers sends out lots of FREE codes, so you can still participate and accumulate points for rewards!